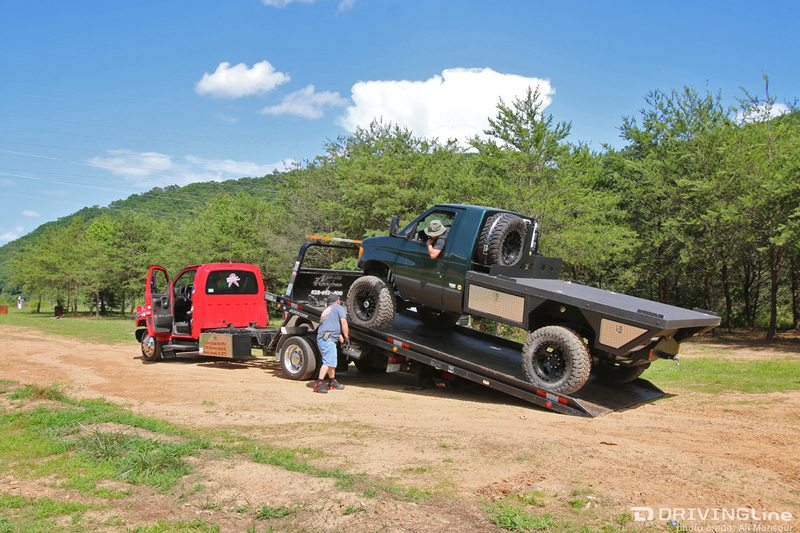 In our feature article on Ujoint Off-Road’s flatbed E-350 (click here to get caught up), you might remember us mentioning that the photo shoot was stopped a little early on account that the E-350 spun an axletube on the Sterling 10.5-inch rear axle. We figured you’d like to know a little more about why that happened and what measures can be taken to prevent it from happening to you. Ok, so, you probably don’t have a highly modified E-series van, but you might have a ’99 to current ¾- or 1-ton Ford Super Duty. That generation of workhorse truck is actually where the van’s rear axle was pulled from. The Sterling 10.5 axle was engineered specifically for ¾- and 1-ton Ford trucks. It has a massive 10.5-inch-tall ring gear (hence the name), 35-spline, 1.5-inch axleshafts, disc brakes and full-float hub assemblies that can support the heaviest of 4x4s. Fitted with an 8-on-170 metric wheel bolt pattern, the heavy-duty rear axle makes for a great match for the Super Duty’s high-pinion Dana 60 front axle. So, how can an axle so beefy on paper suffer such a catastrophic failure? The answer lies in how the axletubes are secured to the differential centersection. As is the case with most axles, the Sterling has a spot welds that keep the axle’s cast centersection and axletubes all in sync. 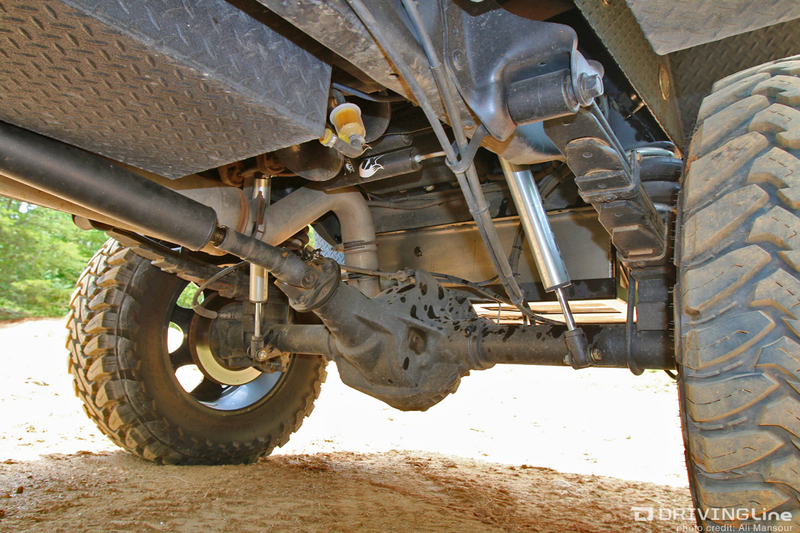 The issue is in high-torque and extreme traction situations, the spot welds fail and one or both axletubes can break free. When this happens, the differentials pinion will rapidly twist skyward, and if not stopped quickly, can destroy a variety of components in the surrounding area. In the case of Ujoint’s van, the spotter noticed the differential angle had suddenly changed when Ujoint owner/driver Chris Steuber was hammering on it on a ledge. The guys decided to stop quickly and investigate. Thankfully, beyond the spun tube, no real damage occurred. As of writing this, Chris is building a new Sterling rear axle and that one will have a truss that ties the axletubes together. At the end of the day, the Sterling 10.5 isn't a bad rear axle, it simply has a weak spot that needs to be addressed. We're even willing to go out on a limb and say it's one of the best-value full-float axles available. Well, next to the GM 14-bolt, of course. Oh, yes. 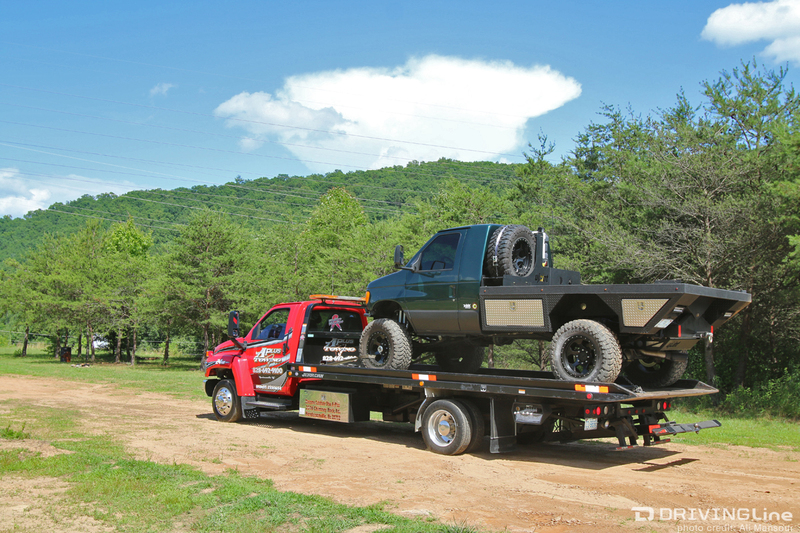 The irony wasn't lost on us that the flatbed left on a flatbed.